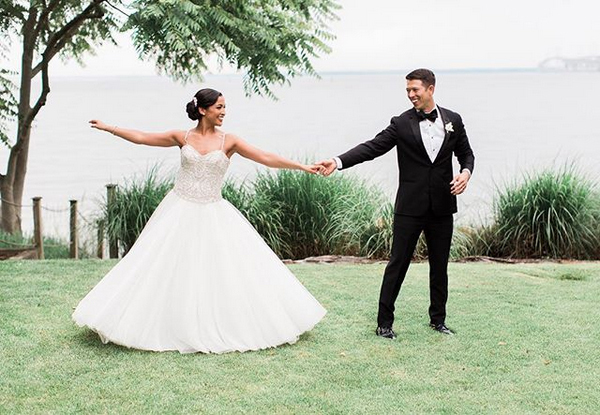 We just got the video from Alex & Brad’s wedding at the Chesapeake Bay Beach Club and we can’t stop watching it. Wise Films absolutely killed it and created an amazing video full of some amazing highlights from Alex and Brad’s wedding day. Obviously, we’re partial to the dancing scenes, but truth is, their whole wedding was amazing. Lauren Niles Events was incredible to work with as always, and we had a BLAST the whole time. Can’t wait to see all the photos from Richard & Tara Photography too, their work is always top notch!